Graphing and Computer Calculator offers advanced graphing for calculus, AP courses and university studies. Displays multiple representations of a problem, individually or together on a single screen. Link representations of a problem to see how changes to one affect others. Grab and move graphed functions in real time to observe patterns. Save and review work in documents, like a computer. Permitted for use on many state and standardized tests. Includes official AP calculus review questions on the enclosed CD. Activate Press-to-Test feature to block access to geometry features not allowed on exams. Use computer-like cursor control to point, move and click through screens and functions. 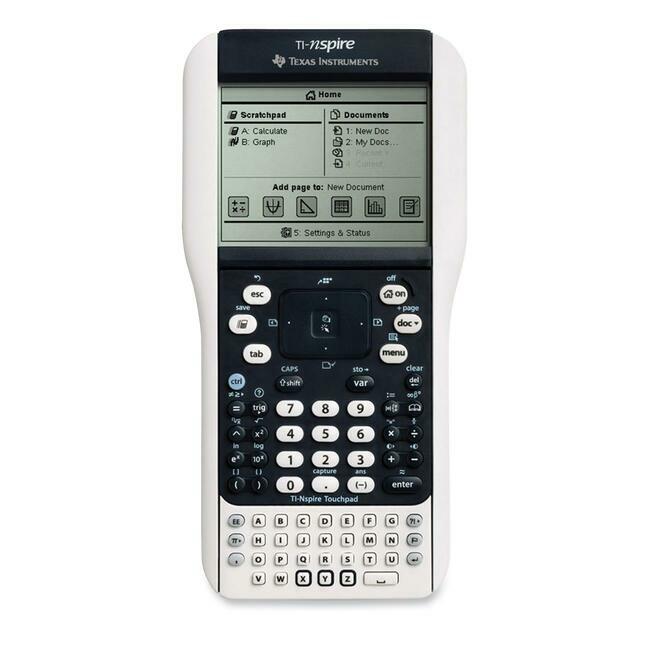 Calculator features simple drop-down menus, 3.5" diagonal screen, and 20MB storage memory (16MB operating memory). USB port allows computer connectivity, unit-to-unit communication with other TI-Nspire handhelds and more. Calculator is powered by four AAA batteries. 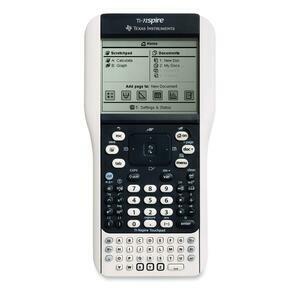 P23DHV Portable Printing Calculator12-Digit Calculator, 2Color Print, Time,6-1/8"x9-1/3"x2-1/3"
EL1801V Serial Printer Calculator12-Dgt Calculator,Print,Cash Reg.Mode,7-1/2"x10-1/4"x2-1/2"